Strong teeth are the foundation of a healthy, fully functioning smile. If one or more of the teeth becomes damaged, the strength, comfort, and beauty of the smile will be compromised. While we always aim to preserve oral health for our patients, we understand that injuries happen. That is why Dr. Michael Bixby offers a wide range of restorative dentistry treatments to repair oral damage. One common type of dental damage is tooth fractures. Tooth fractures vary in severity, but even a minor fracture can weaken the tooth and leave it vulnerable to oral health problems. Dr. Bixby is happy to go over the treatments for tooth fractures available at our Red Bank, NJ dental practice, and help patients determine which treatment method is most appropriate for their unique situation. 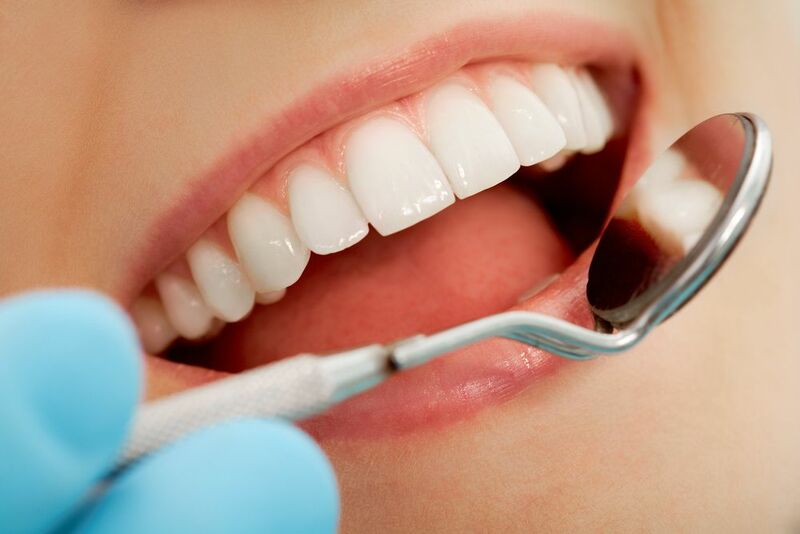 Dental bonding is commonly thought of as a cosmetic dentistry treatment, because it can conceal blemishes such as tooth discoloration, stains, and gapped teeth. However, dental bonding can also repair cases of minor dental damage, including chips and tooth fractures. Using a dental compound that is matched to the color of the patient’s natural tooth, Dr. Bixby can rebuild tooth structure that has been broken or damaged. Dental bonding is a great treatment option for patients who are looking for an affordable and effective treatment for minor tooth fractures. Porcelain veneers are dental restorations that are also typically used to enhance the appearance of the smile. However, porcelain veneers can also be placed on teeth that have suffered minor cracks or fractures. Veneers are bonded to the front surface of the teeth and provide an added layer of strength and protection, while concealing a full range of cosmetic flaws, including discoloration, minor misalignment problems, and small areas of dental damage. Patients who have suffered a minor tooth fracture may want to consider porcelain veneers if they are interested in addressing dental damage while enhancing the appearance of the teeth. Dental crowns are the restorative dentistry treatment that is most commonly used to repair tooth fractures. A dental crown is an ideal treatment option for larger, deeper fractures that threaten the strength and structure of the tooth. To apply a dental crown, Dr. Bixby reshapes the natural tooth by removing any damaged tooth enamel. The dental crown is then placed over the existing tooth (much like a cap) and is bonded in place. A dental crown protects the entire crown of the tooth, so it blocks out harmful bacteria and protects the tooth against infection. In most cases, a tooth that has been fractured can be repaired using one of the abovementioned dental treatments. However, in rare cases, a fracture is severe and the natural tooth cannot be saved. Patients who have lost a tooth due to a tooth fracture should consider dental implants. Dental implants are the best possible treatment to replace the natural teeth. They are placed in the jawbone to act as artificial tooth roots. The implants then provide a foundation for a wide range of restorations, including dental crowns, bridges, or dentures. If you have suffered from a tooth fracture or other oral injury, Dr. Michael Bixby can rebuild the health and strength of your smile. Contact us at your earliest convenience to learn more about our comprehensive range of dental treatments.